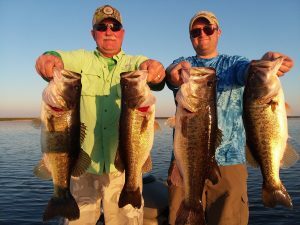 Robert Ford and his son enjoyed some awesome afternoon fishing on Lake O today, the fish ate like crazy making it a quick 6hr evening trip. These guys caught them on shiners and artificial. These 4 fish total weight was roughly 21 pounds with their 5 fish total being roughly 24 -25 pounds. Now that is one heck of a day fishing! I love what I do and enjoy watching those smiles when they proudly hold up their catch. 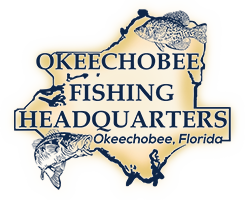 The post Okeechobee Bass Fishing- Okeechobee Fishing Report 3/22/19 P.M. Trip appeared first on Lake Okeechobee Bass Fishing at it's BEST! Top Fishing Guides.